With Newsies coming to The Rose stage this June, we decided to delve deep into the history of these rugged newspaper salespeople. The living conditions were nothing to brag about, but we can tell you that while Newsies lives on The Rose’s Mainstage, it will be more glamorous than ever! 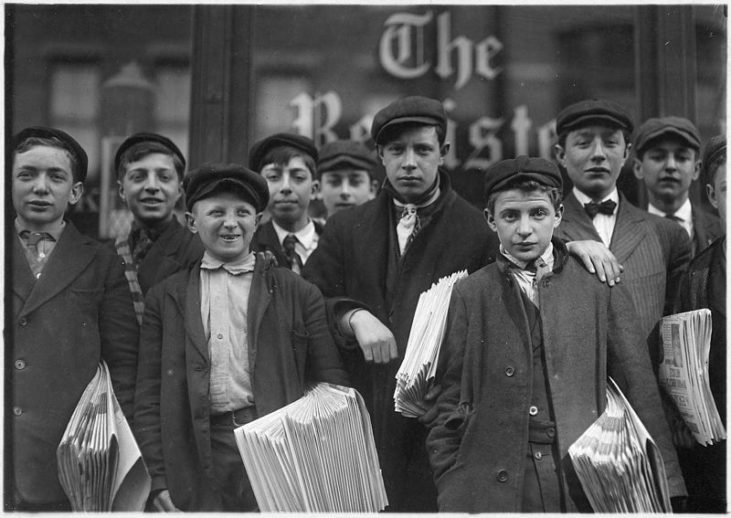 In the late 1800s and early 1900s, some city kids made their living being “Newsies.” selling newspapers and barking “EXTRA EXTRA, READ ALL ABOUT IT!” They attempted to sell out of newspapers every single day, and wouldn’t rest until they either sold them all or passed out from exhaustion. Some days they would work 12+ hours in an attempt to sell every last paper. Most of these kids lived with their families, who weren’t usually well off. 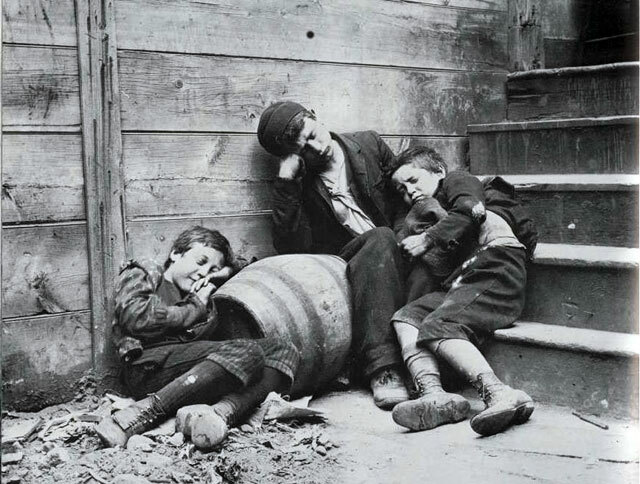 However, there were lodging houses available for Newsies to sleep at. Rent was collected weekly and if they couldn’t pay, they would sleep in the streets on a stack of newspapers, ironically enough. Some nights they would sneak into businesses or even theaters in order to find a warm place to get through the night. If the business owners caught them, they were quickly thrown out. Newsies were just children, trying to help their families and themselves in any way they could. These children had no choice but to sell papers to make ends meet. They were forced into the workforce as early as eight years of age, possibly earlier depending on their situation, so their living conditions became an afterthought. These children worked hard and shed blood, sweat and tears to stay afloat. They would take any living space they could find and did what they had to do to stay alive. These conditions, and more, led to the famous Newsies strike of 1899! If you are interested in the story of the Newsies and their historical strike, be sure to get tickets to The Rose’s production opening June 1st! Until then, continue to seize the day and watch what happens when you do! 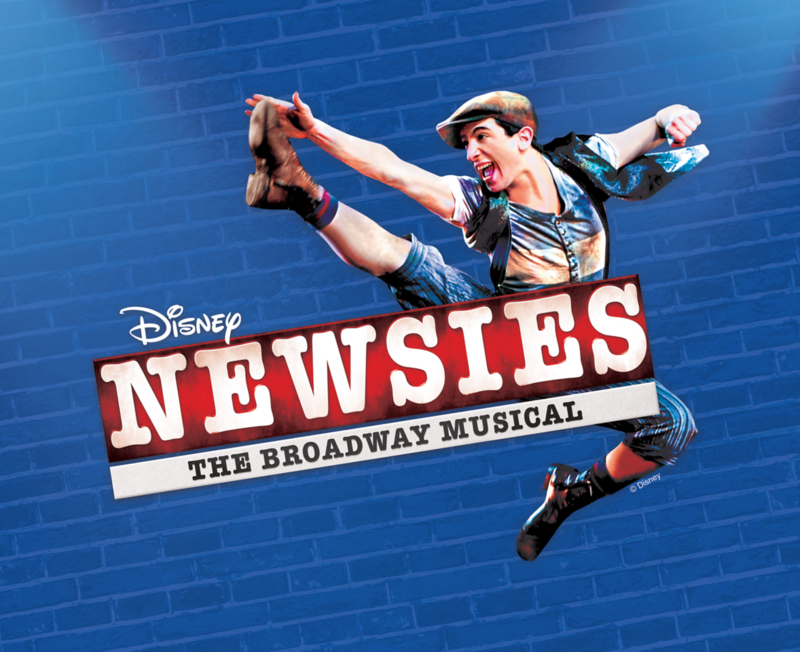 Disney’s Newsies runs from June 1-17!